the best fruit I've ever eaten! In all seriousness, I had a life-changing mango and am convinced I could live off of anonas! 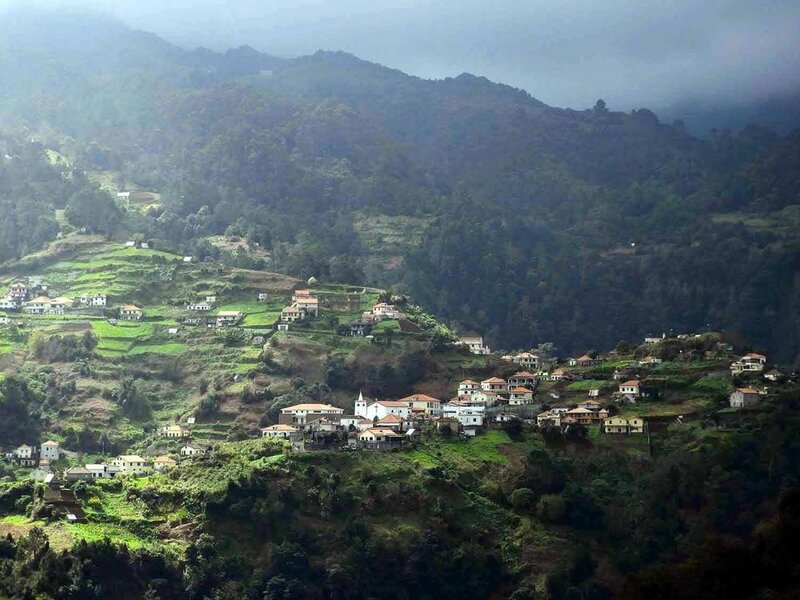 Madeira, an archipelago of 4 islands, is located south of mainland Portugal and west of Morocco. We can't speak for the outlying islands, but the main island is incredibly beautiful and the terrain is interesting. Because the island has a dry side and a wet side, at times we felt like we were in arid Colorado or Utah, and at other times we felt like we were in tropical Hawaii, or maybe even Cambodia. Funchal, Madeira’s capital city, is home to 100,000+ residents and is the main tourist attraction of the island. Regardless of how you travel to Madeira, you're sure to stop in Funchal - either through the islands only airport (check out their runway below! ), or through their popular cruise port. 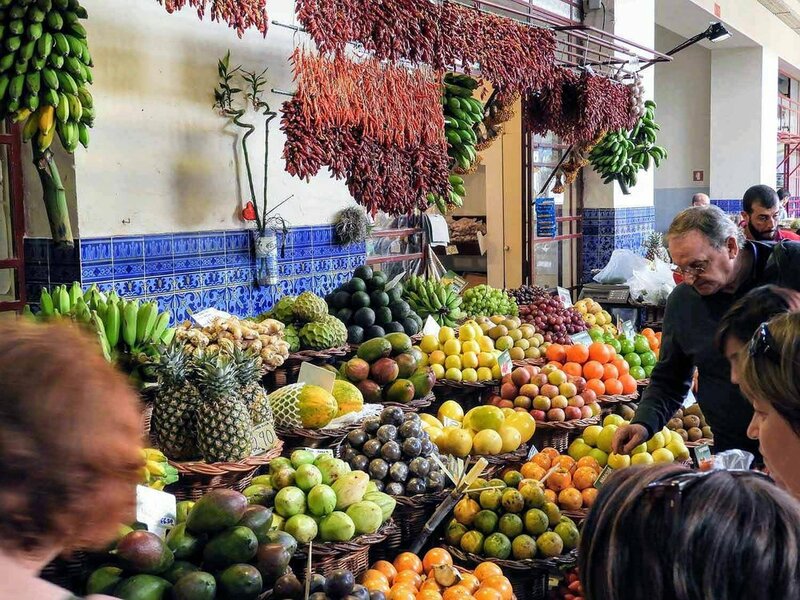 We only spent a half day or so in Funchal before heading for the hills, during which we toured the historic Sao Tiago Fort, walked along the waterfront, and explored the Mercado do Lavradores (farmer's market). Funchal is known to host one of the largest New Years Eve firework shows in the world and proudly holds a Guinness world record certificate, awarded on 31st December 2006/07, for the largest fireworks show in the world. The show is launched along the coast and some even watch it from the decks of cruise ships at port. Did you know that Madeira is home to world-famous soccer player, Cristiano Ronaldo? It's true. 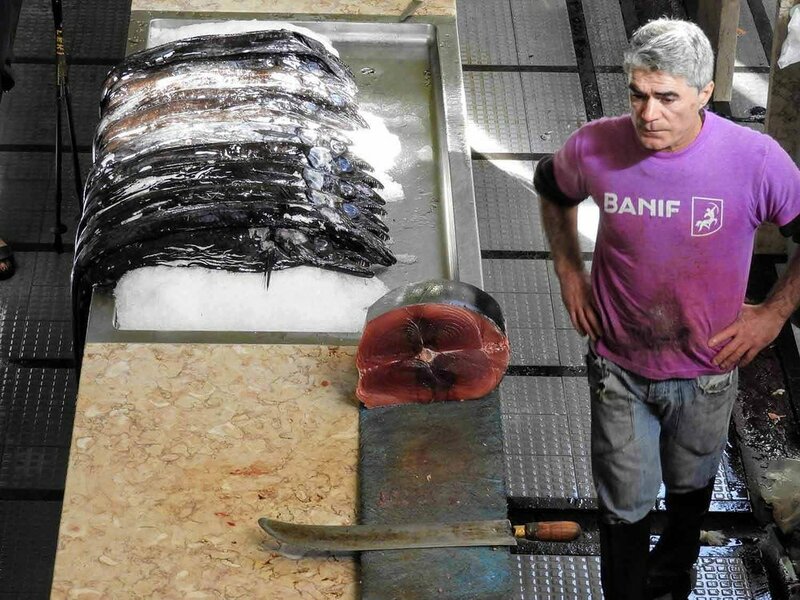 Ronaldo is quite fond of his home-town and often gives back to this island community. 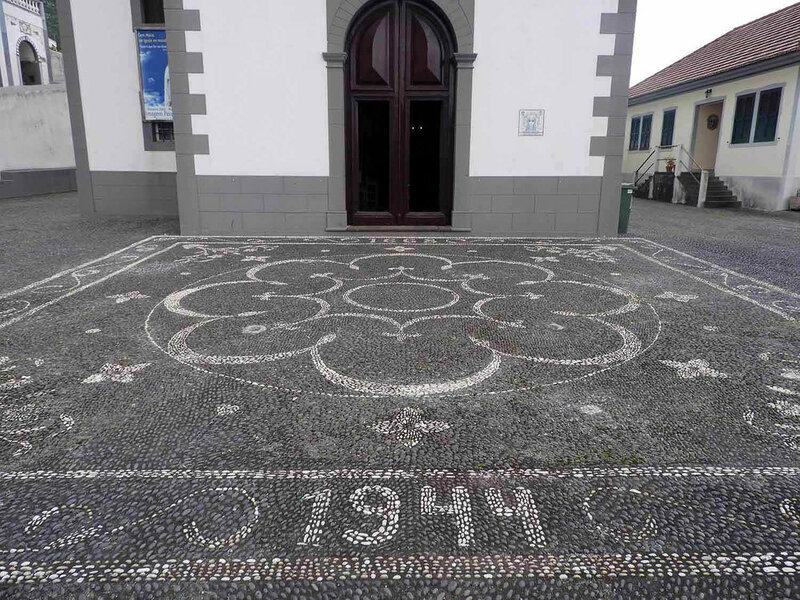 You can visit the Cristiano Ronaldo Musem, Museu CR7, in Funchal. Let's be honest. Local fruit markets are generally never cheaper than your local grocery store, but we love them. 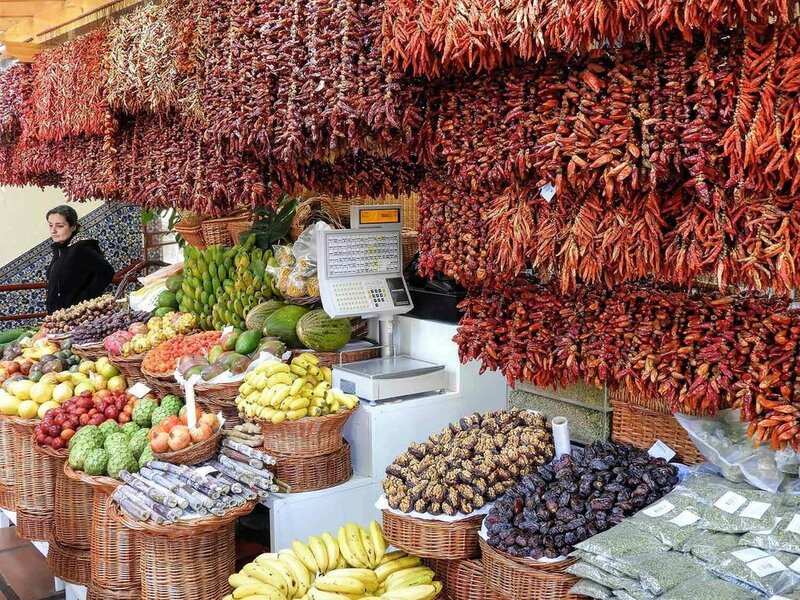 It's quaint, everything is arranged so nicely, and it feels good to buy from someone who grew the produce themselves. Checking out Mercado dos Lavradores, a local fruit and fish market dating back to 1940, was a highlight for us. We bought all kinds of delicious tropical fruit, both fresh and dried (basically nature's candy - YUM)! 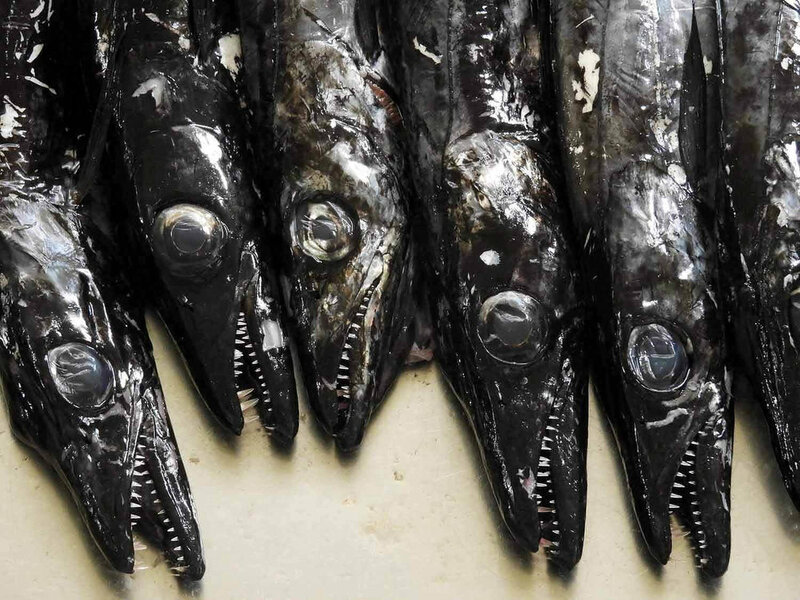 There were so many kinds we'd never seen or heard of and they are all so, so good. But, be careful... the fruit stand workers are like ninjas. They will slice you up a sample before you can blink and they will be pushy. If you go, don't stop at the first stand. Just keep walking. The stands in the back and upstairs are less intense. Don't miss: anonas, pineapple bananas (bananas ananás), and all the kinds of passion fruit (maracujá). For the past 50 years Brisa has locally bottled carbonated tropical fruit juices. Brisa Maracujá was the world's frist soft drink produced from pure passion fruit juice. This small town is home to just 400 residents and will forever have a special place in our hearts. The town runs a co-op bakery down the street from our rental house. Each night, different volunteers bake fresh sweet potato bread in a wood fire oven for the entire village! Each night between 7:00 and 9:00 pm we’d wander down the path to pick up our daily loaf of bread - for just 85 cents! Here, we also bought Bolo de Mel, a traditional Madeira honey cake, and Broas del Mel, a traditional Madeira honey cookie. Initially we wouldn’t say it’s a flavor we love, but decided they grow on you and are both strangely addicting. In general, Portugal is more affordable than other European countries, but Madeira is even more so. We stayed in a 2 bedroom Airbnb in Arco de Sao Jorge, complete with a kitchen, bathroom and laundry room which was only $240 for 7 nights. To top it off, our car rental came out to $63 for a week, and our flights were about a $100 each, round trip, from Lisbon. Granted, we were here in February, so it may be a bit more expensive in the summer. Money makes the world go round, but that’s not only one factor that won us over. We had the best Airbnb experience here to date! 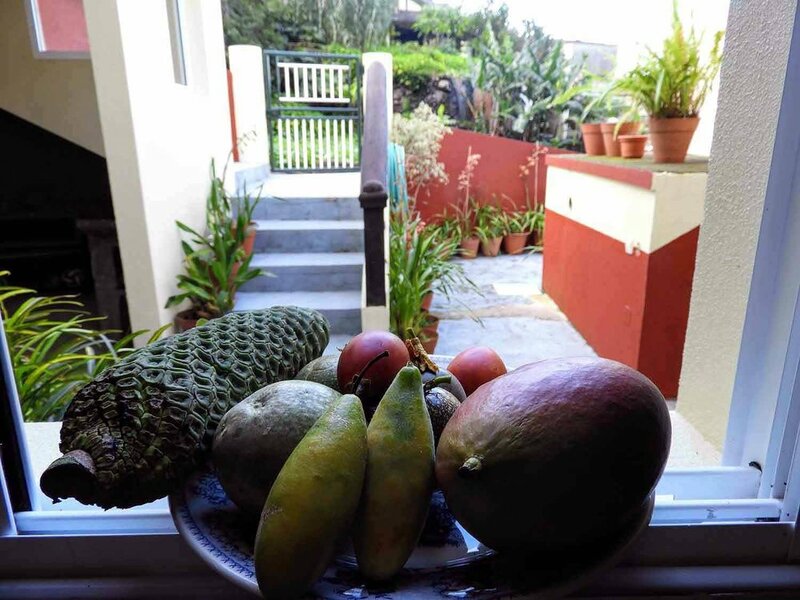 Our hosts, lived in the home right next door and brought us many gifts from their garden each day including sugar cane, sweet potatoes, three different kinds of avocados, anonas, and bananas ananás (pineapple bananas). We were very impressed by the husband. In addition to working a full time job for the city, he also cultivates a massive garden and produces wine and ginja (rum) and other liquor from sugar cane and fruit, which he sells to neighbors and local stores. In his “free time” he renovated the home where we stayed entirely by himself (which was his grandfather’s house) and was working on renovating his other grandfather’s house as well. They were such kind, generous hosts. They took time to show us their gardens , wine-making process and distillery. On top of all of that, they invited us over for dinner in their home where they treated us to espetada, beef skewers on bay leaf stocks cooked over an open fire. The beef came from a cow killed only two days prior! We also ate two different kinds of sweet potatoes, regular potatoes with chu chu fruit, inhame/taro root, and delicious fried bread bites (basically a donut hole that they make for Carnival). When it came time to leave, they sent us home with as many avocados and anonas as we could carry. Talk about humble and hardworking people - it just doesn’t get any better than this. We stopped here one day on our drive back to Arco de Sao Jorge and although we didn’t do much, we enjoyed the beautiful scenery. If you’re stopping through here in the summer, don’t miss the natural swimming pools formed between the lava rocks. Who doesn’t love a cheap date? For just 3 euro (roundtrip) you can take this steep cable car (teleférico) from the cliff tops down to the rocky beach below. We enjoyed wandering the winding garden paths, watching the waves crash against the shore, and the stunning views of the cliffs above. If you’re feeling up to it, you can hike back up on a super sketchy farmer’s path, but it’s not for the faint of heart and we opted otherwise. This lighthouse is located at the westernmost tip of the island of Madeira and also happens to be the highest lighthouse in Portugal. It was incredibly windy the day we visited, but the views couldn’t be beat! 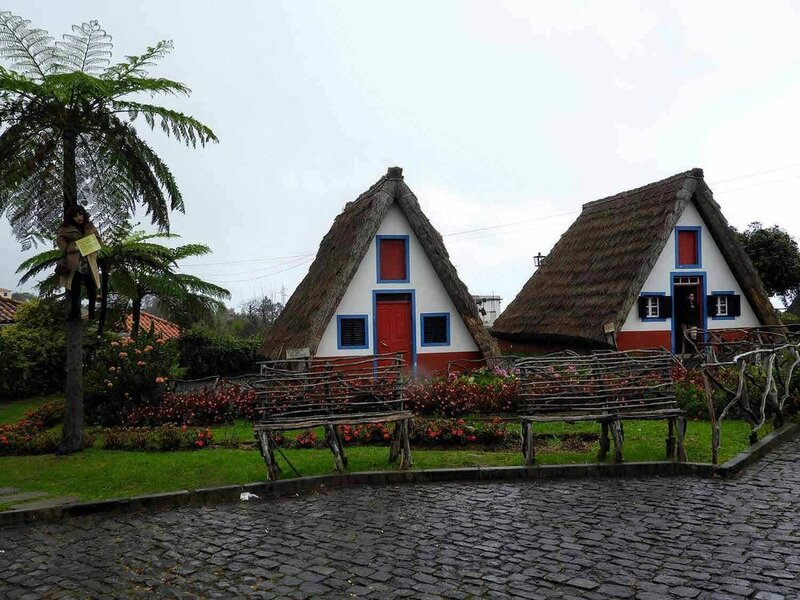 Santana is well known for its white and red-trimmed A-frame houses with straw roofs. These structures were once used by locals for houses and stables, they now house shops with goods made by locals. 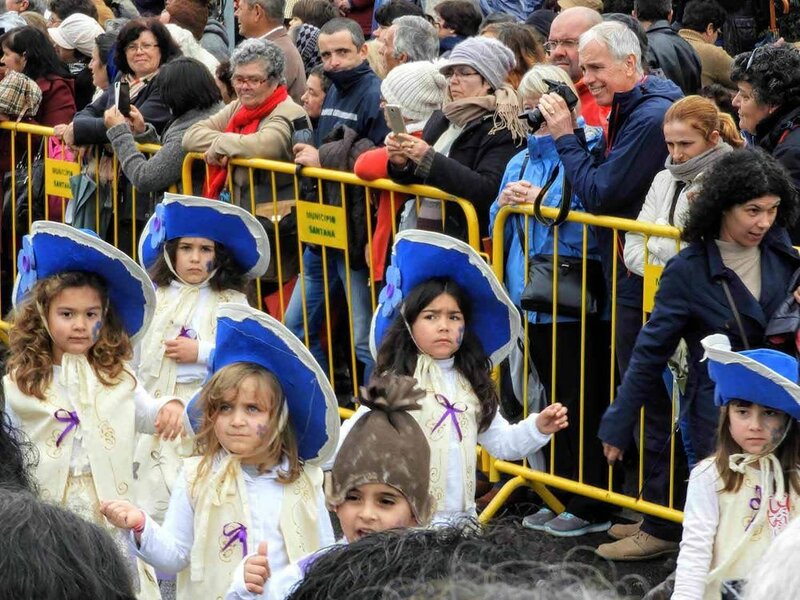 We happened to be in town during the Festa dos Compadres, which takes place the weekend before Carnival each year. 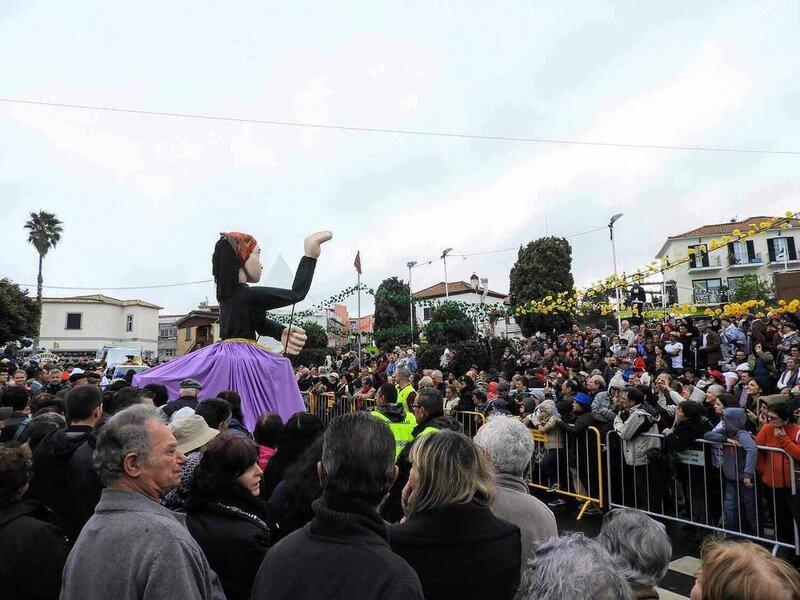 Locals celebrate with a parade of decorated floats, traditional costumes, singing, dancing, comedic sketches, and of course, delicious street food - especially espetada (beef skewers on bay leaf stocks) and bolo do caco (garlic bread). It literally rained (and poured) on our parade, so our view was mostly blocked by a sea of umbrellas, but now and then the rain would taper off and we could see the festivities. We later learned that our Airbnb host was driving the truck with the float of the lady in the purple dress. It was fun to see how locals celebrate and experience their culture alongside them. Even today, we can still hear the sounds of the songs they sang as they danced through the streets. In Madeira, you’ll often see a piles of squash on the roofs of homes… why? They say it stores best that way! 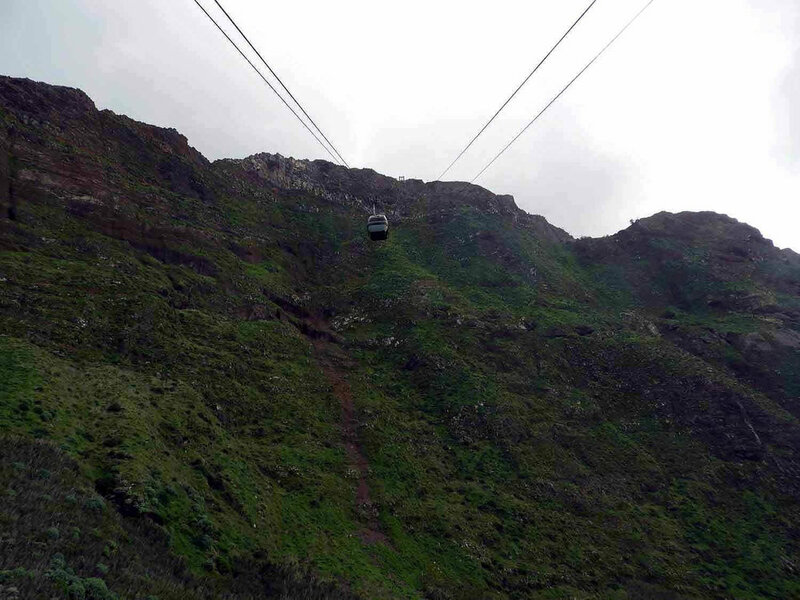 Not far from Santana you’ll find the Rocha do Navio Cable Car (teleférico). 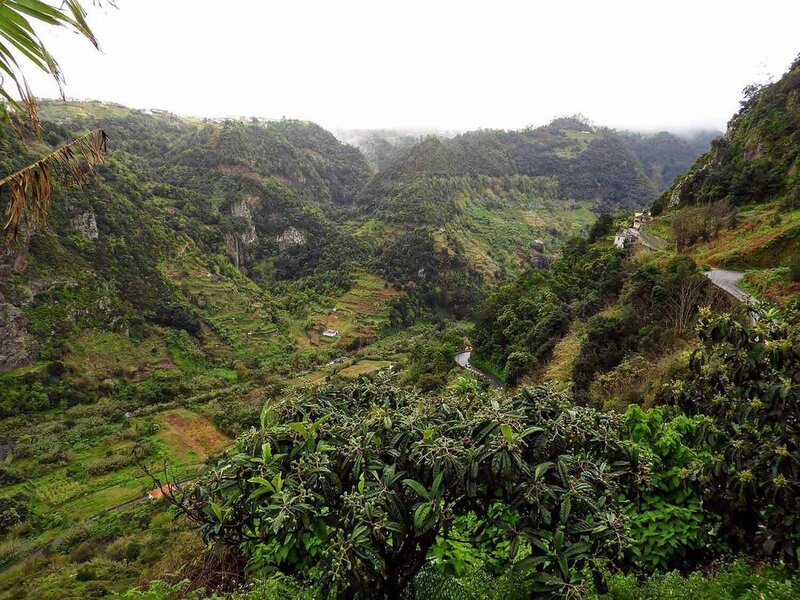 Although anyone can now ride the cable car for a small fee, it was originally built for farmers to access their banana plantations and vineyards. 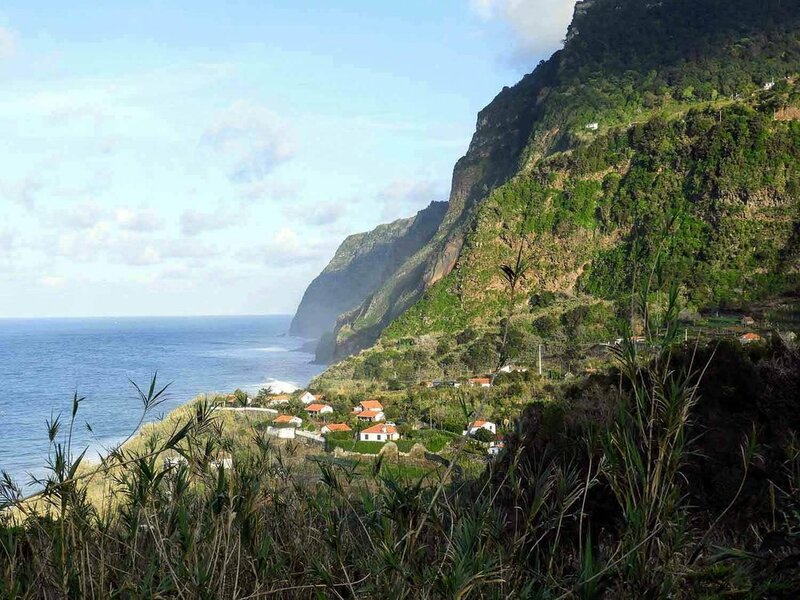 For 5 euro and a 5 minute ride, you’ll soon find Madeira’s protected Natural Reserves, Rocha do Navio. The landscape is beautiful and worth exploring - cascading waterfalls, sheer cliffs, rocky beaches, and gardens galore. We enjoyed a friendly chat with cable car operator who proudly told us he loved his job was the first employee of the teleférico. He had worked there since it’s completion in 1997 - a total of 20 years! 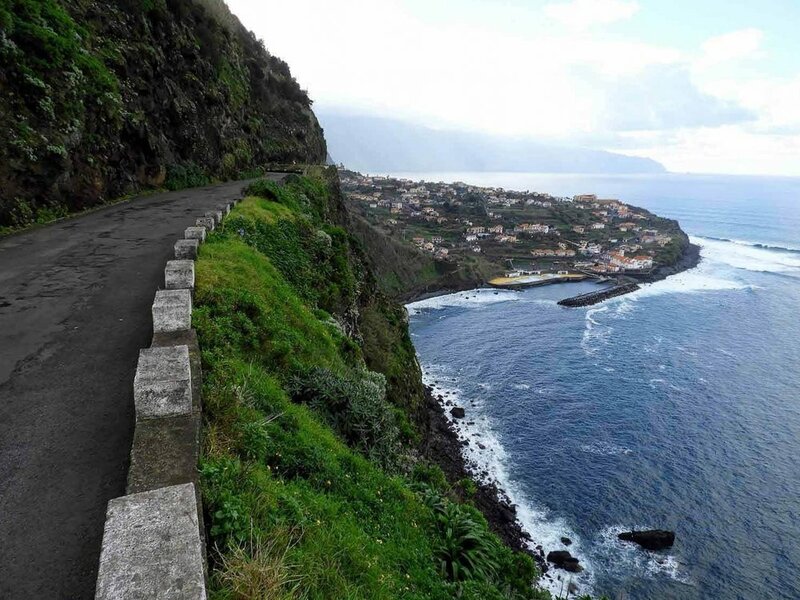 Driving in Madeira may take some additional caution than you are used to. Some secondary roads are quite wet, narrow, have steep drop offs with no shoulder and may require you to yield to oncoming traffic. Driving in Madeira often reminded us of driving in the Faroe Islands. Overall exploring the island by car is very easy. There are many tunnels linking various parts of the island which saves time transiting through otherwise steep mountain roads. In order to arrive at the starting points for the majority of hikes a car is usually required.